Qualified undergraduates may be admitted to a Bachelor's/Accelerated Master's program and obtain both a BA in Integrative Studies, Concentration in Social Science for Education and an MEd in Curriculum and Instruction, Concentration in Secondary Education History and Social Science within an accelerated time frame. Students meeting the qualifications listed below may be admitted to this program following completion of 90 undergraduate credits. They may then take 12 graduate credits within their senior year (i.e., six credits will partially satisfy requirements of both the BA in Integrative Studies and the MEd in Curriculum and Instruction; six credits will be completed as reserve graduate credit toward the MEd only). If students earn at least a 3.0 in these classes, they are granted advanced standing in the master's program and, upon completion of the bachelor's degree, must then take an additional 23 credits to earn the master's degree. For more information about this program talk to a Teacher Educator Advisor today. An official CEHD Endorsement Review must be completed and reflect that the student is within nine (9) credits of fulfilling the Secondary Education History/Social Science endorsement requirements. Visit cehd.gmu.edu/endorse/ in order to complete the endorsement review. Official passing Praxis™ Core Academic Skills for Educators Tests test scores or qualifying substitute. Those applicants who will be submitting a Praxis Core substitute must notify the CEHD Graduate Admissions Office (cehdgrad@gmu.edu). 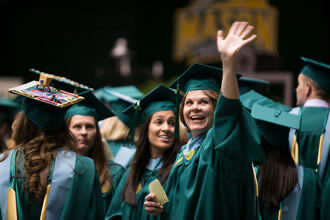 If accepted and having completed at least 120 credits and all requirements for the BA in Integrative Studies, Concentration in Social Science for Education and filing the Graduation Intent Form, students are awarded a bachelor's degree and admitted to the MEd in Curriculum and Instruction with a Concentration in Secondary Education History and Social Science program. Accelerated master's students must then fulfill all Secondary Education History/Social Science endorsement requirements, submit their official passing Praxis Subject Assessment scores, and submit their passing Virginia Communication and Literary Assessment (VCLA) scores prior to internship application deadline. *Course counts for both the Bachelor's and MEd degree. **Course is taken for Reserve Graduate Credit, and will only apply to the MEd degree. ***Nine (9) credits required; chosen with advisor's approval. ****The student can decide whether to take his or her final course with two electives or to split up the final two electives and take their final elective during the summer semester (either summer 1 or summer 2).